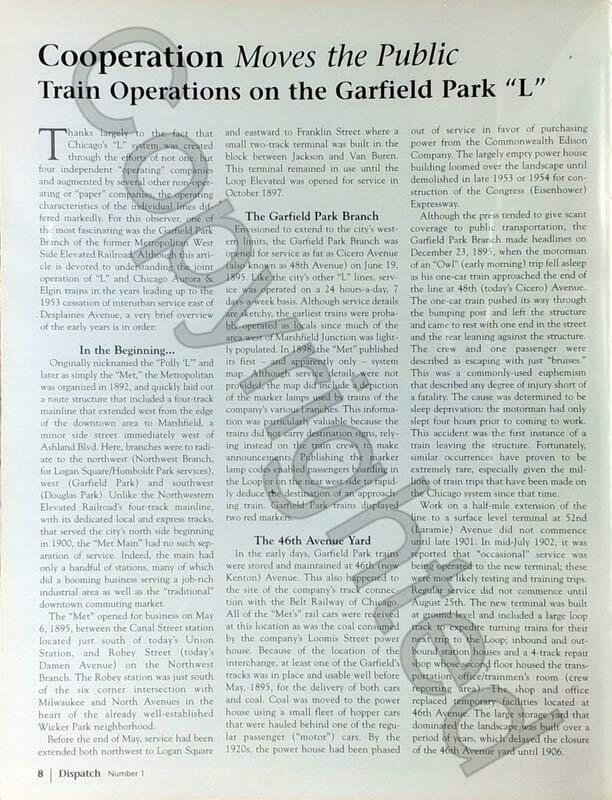 Cooperation Moves the Public – Dispatch 1 is about the cooperation between the Rapid Transit Lines and the Chicago Aurora and Elgin interurban railroad to get commuters to their destinations. There were trains running on the same track SECONDS, not minutes, apart. 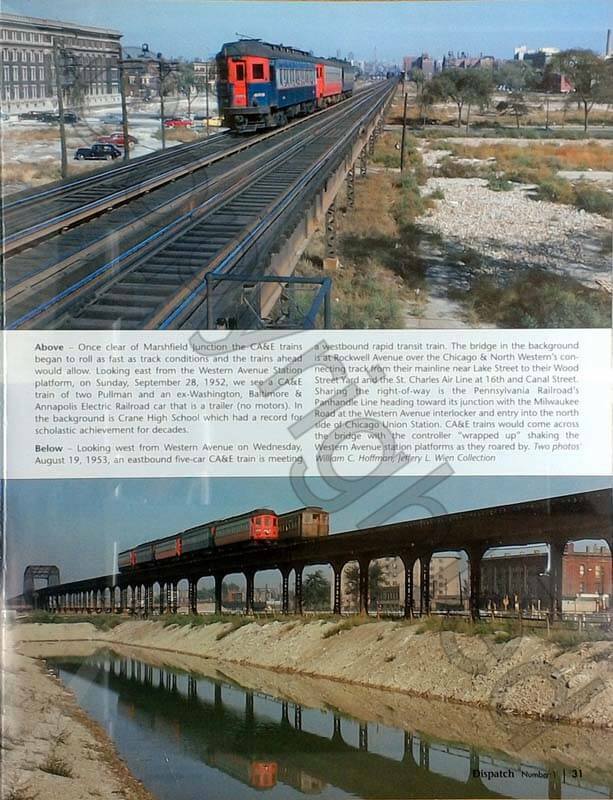 The three classes of service, CA&E and Rapid Transit Local and Express, passed each other on a two-track railroad. 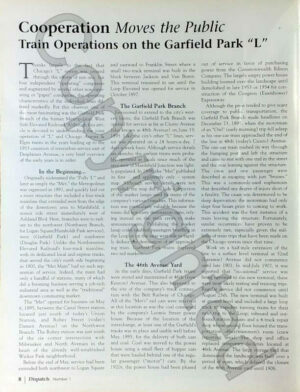 On this same two-track railroad, there were an equal number of trains operating in the opposite direction. 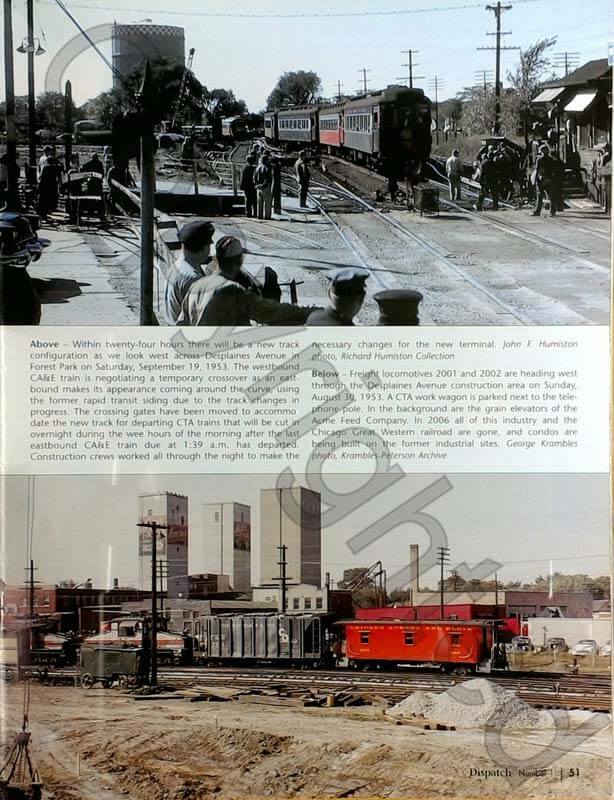 Cooperation Moves the Public – Dispatch 1 is all about how these trains, from two different railroads, ran without signals or radio communication. 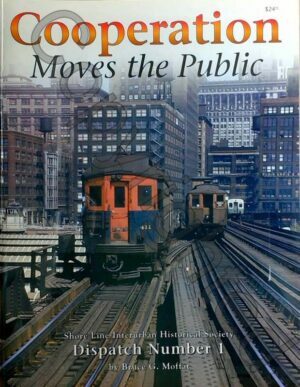 The publication of Cooperation Moves the Public Dispatch 1 is the incredible story of these transit operations over the Garfield Park Branch of Chicago’s Rapid elevated system. 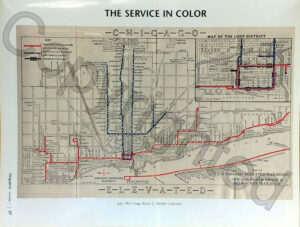 Transit historian Bruce G. Moffat brings to life an amazing synchronization of CA&E and CTA trains operated “on sight,” by timetable, and with a rule book that stated, “No collision with another train will be excused.” This interesting and complex story of transportation and suburban development is told in 84 pages. Maps, timetables and string charts are included in the book. 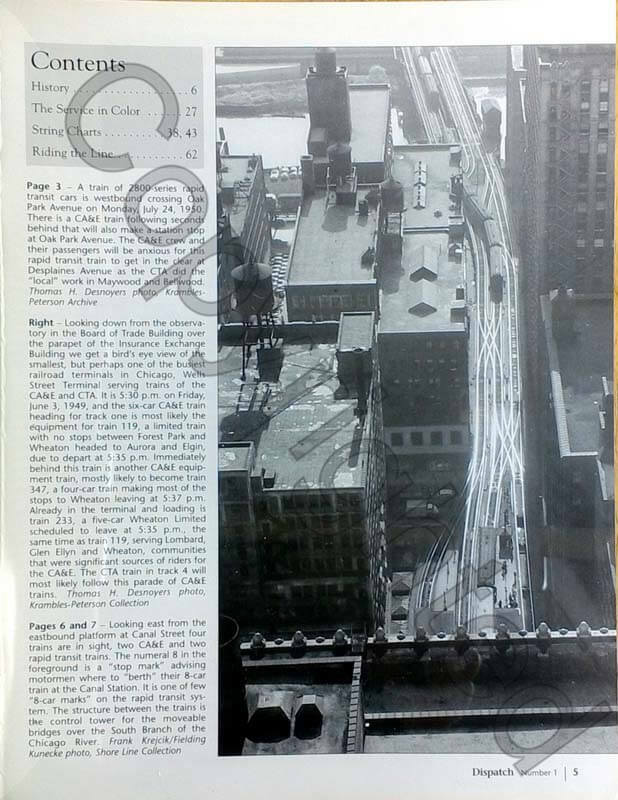 The Shore Line Interurban Historical Society, that published Cooperation Moves the Public Dispatch 1, is a non-profit organization that publishes a quarterly magazine and dispatches about urban, suburban and interurban passenger rail service in the Chicago Hub region. For more information on this organization or to join visit their website at www.shore-line.org. The mission of the Shore Line Interurban Historical Society is to preserve the history of urban, suburban, and interurban passenger railroads in the upper Midwest. 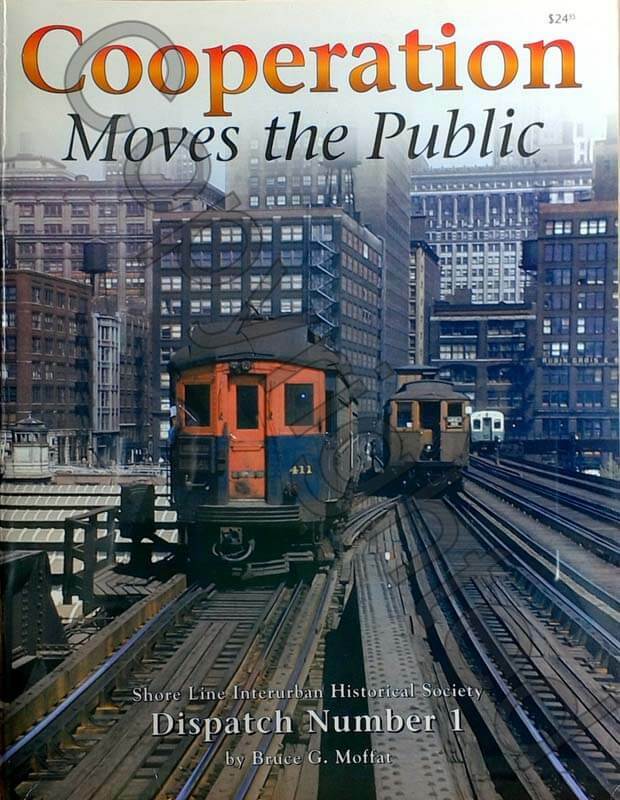 Cooperation Moves the Public – Dispatch 1 is the first of 9 dispatches published about urban, suburban and interurban passenger railroads in the upper Midwest. 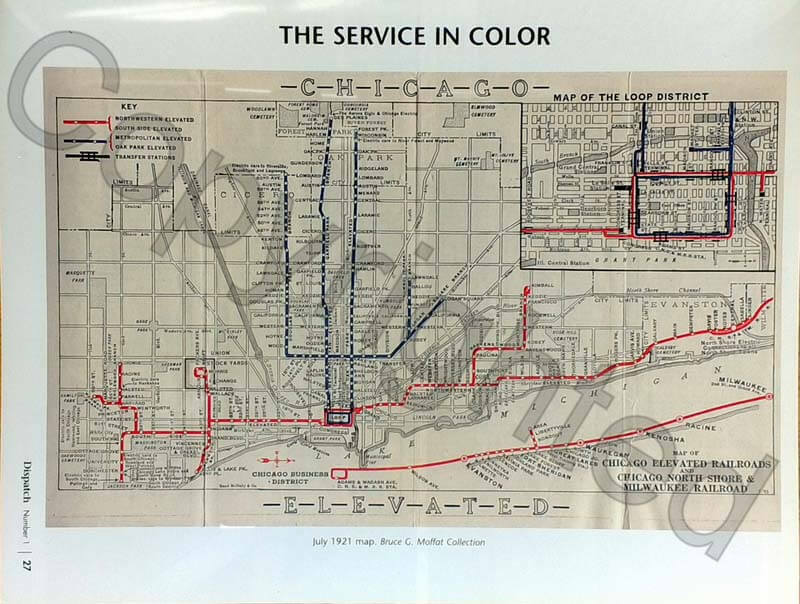 It tells about the coordination of Chicago area transit systems 80 years before the formation the Chicago area METRA, CTA, and PACE systems. Transit system and interurban and railfans will enjoy this book.